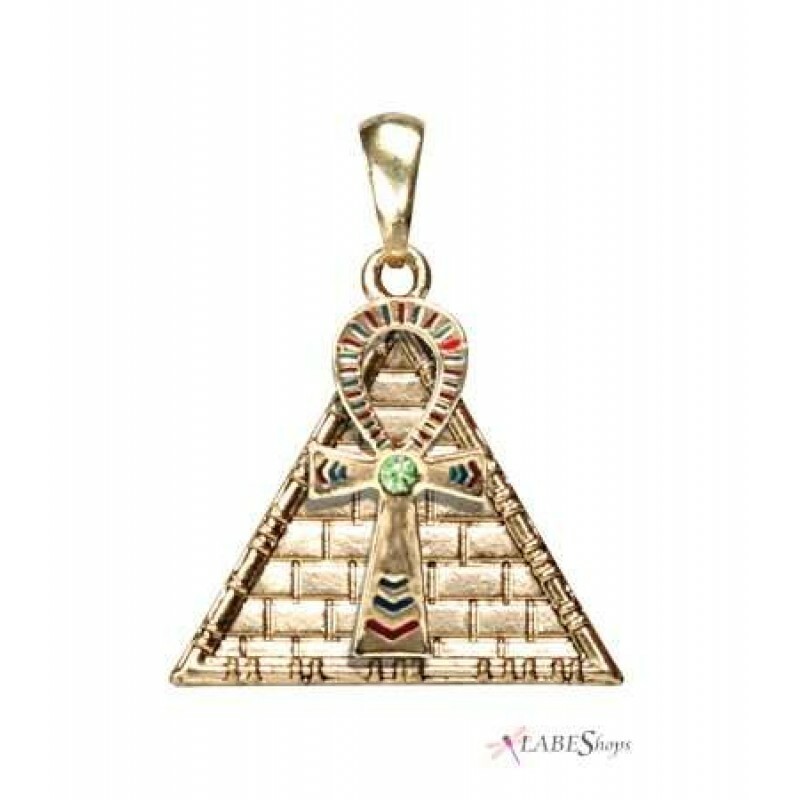 Lead free pewter necklace of a pyramid and ankh with sparkling crystal accent. 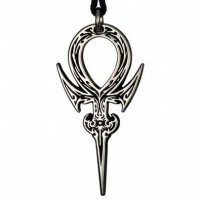 This lovely pendant is cast in lead free pewter then gold plated and enameled to bring out the detail. 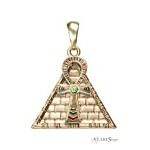 It is set with a green crystal in the center of the ankh. 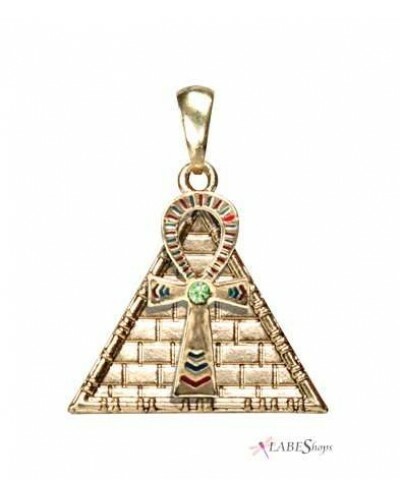 Beautifully hand finished, it comes on a nickel-free gold tone chain. About 1 1/4 inches long overall and 1 1/4 inch wide. Item Number: YT-2715 | Approximate Size (Inches): 0.96 wide x 0.02 deep x 2.25 high | Approximate Shipping Weight: 0.25 lbs.